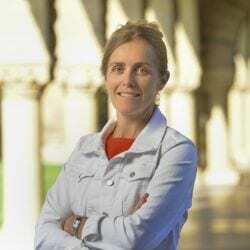 Pascaline Dupas is Professor of Economics at Stanford University. She is a development economist seeking to better understand the challenges facing poor households in lower income countries and their root causes. Her goal is to identify interventions and policies that can help overcome these challenges and reduce global poverty. She conducts extensive fieldwork. Her recent research includes studies of education policy in Ghana, family planning policy in Burkina Faso, digital credit regulation in Malawi, and government subsidized health insurance in India, among others. During her fellowship, Dupas will explore the changing social, economic, and political conditions as sub-Saharan Africa rapidly urbanizes. She will focus on two of Africa’s largest cities—the capital of Ethiopia, Addis Ababa, and the economic capital of Côte d’Ivoire, Abidjan. Through rigorous analyses of the complex web of interactions among individuals, firms, service providers, and local governments that together determine a community’s quality of life, Dupas aims to produce new insights that will help academics and policymakers to make good on the opportunities presented by rapid urbanization; and to identify policy solutions to the challenges it presents. Pascaline Dupas joined the Stanford faculty as an Assistant Professor in 2011, after spending two years on the faculty at Dartmouth College and three years at UCLA. She was promoted to associate with tenure in 2014 and full professor in 2019. She is on the executive committee of the Jameel Poverty Action Lab (JPAL), on the board of directors of the Bureau for Research and Economic Analysis of Development (BREAD), and a Research Associate at the National Bureau for Economic Research (NBER). Dupas is a Fellow of the Econometric Society and a former Sloan Fellow. She received a National Science Foundation CAREER award in 2013. In 2015 she received the Best Young French Economist Prize, awarded to the French economist under 40 whose work is most influential. Dupas is a native of France and a naturalized American citizen. She studied philosophy and economics as an undergraduate student at the École Normale Supérieure (Ulm). She obtained a PhD in Economics from the École des Hautes Études en Sciences Sociales in 2006.